When it comes to rocking horse sales, 2010 was mixed. During the first two thirds of the year the manufacturing processes were changed and the machines were moved and/or replaced. This broad restructuring with all its challenges resulted in our having insufficient stock. 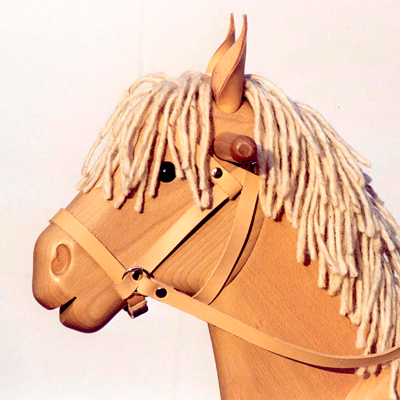 The first horses from new production were sent mid October – fairly late for the Christmas business to come. During these last three months of the year the horses were sent as soon as they'd been produced. No time to build up stock. But the horses were as beautiful as ever and in 2011 these things will become much easier.